Homemade wines are getting more and more popular. When so much energy and commitment is devoted to this process why not go one step further and make the wine bottle special too? Stand out of the crowd and show your bottles with pride! A bottle of good wine is also ideal gift for many occasions. Instead of bunch of flowers you can prepare unique design with your text, wishes or little poem for many occasions. All wine labels are self-adhesive and prepared for quick use. Just peel & stick to the clean bottle. They are made especially for your order to maintain unique character and high quality. 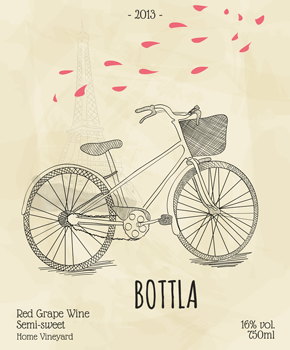 It’s time to make your own customized wine labels!